Last week, Sonoma State University changed its color from blue to green for its first ever Sustainability Week. Loubet, along with the help of others, put together this weeklong initiative after learning that October was national Sustainability Month. “It’s kind of a warm-up for Earth Week [in April 2014],” said Loubet. The week was filled with events, all of which educated the student body on the different aspects of sustainability, such as conservation and other lifestyle choices that affect our planet. “As an environmental studies and planning major, I’m glad that Sonoma State is finally catching up with other schools and hosting events that encourage environmental awareness,” said sophomore Alex Othon. There was a series of lectures that took place that allowed multiple departments to demonstrate how they could contribute to the sustainability effort. Some of the topics covered were developing environmental sensor networks at the Sonoma State preserves, solar fuel productions by artificial photosynthesis, and the challenges and opportunities associated with different water resources. There was a sustainability “Super Nooner” that took place in the Darwin quad, in which groups on campus, such as the Campus Recreation Center and Composting Club, that support sustainability tabled and told students how they work to protect our environment and what students can do to go green. The final event of the week took place on Friday. The Fall Garden Party was a way to wrap-up Sustainability Week in a way that was educational and engaging. The garden was filled with students and a few adults mingling and enjoying the unseasonably mild weather. They were treated to live music by the student band Soup Sandwich. Some people were sitting at picnic tables decorating some of the many pumpkins that were brought for the event; others went on self-guided tours of the gardens. Sustainability Week isn’t the only time that Sonoma State focuses on being green. The Campus Recreation Center is committed to being as green as possible and they have one of the most environmentally friendly buildings on campus. Many buildings, such as Darwin, are eco-friendly year round by using recycled water for plumbing. The city of Santa Rosa also provides Sonoma State with recycled water for irrigation and fire suppression. Similarly, Dining Services works hard to remain eco-friendly. They buy locally grown fruits and vegetables, and they have a list of their partners available under the “Initiatives” tab on Dining Services’ webpage. They also started composting in the spring of 2012. 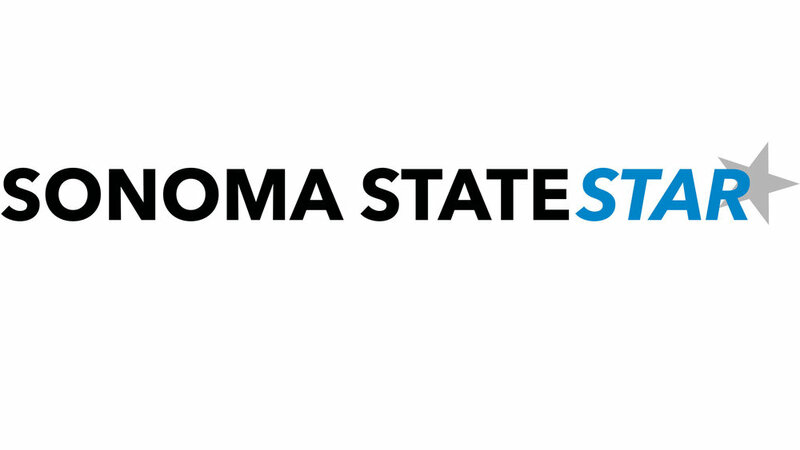 There are also clubs and organizations that work towards making Sonoma State sustainable. There are ride-sharing communities that promote carpooling to campus. Join Us Making Progress (JUMP) also allows students to volunteer at places like Petaluma Bounty Community Farm. On Thursdays from 11 a.m. - 2 p.m. and Fridays from 10 a.m. - 2 p.m. volunteers can help out in the campus garden, located next to the Children’s School.